Have a question for Casa Genaro Bohol? "Good value for money and highly recommended for couples and family travelers." 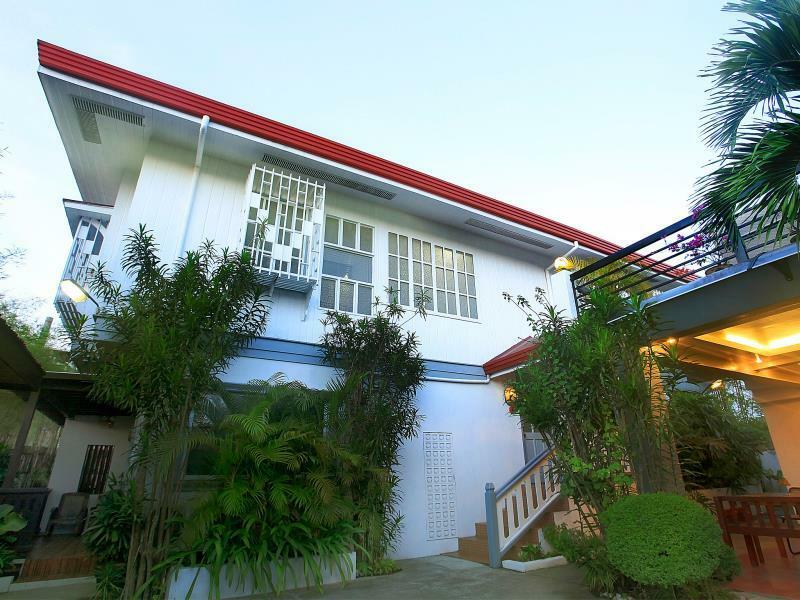 "Very attentive staff and great care for attending to the nee..."
Located in the lovely area of Tagbilaran, Casa Genaro Bohol enjoys a commanding position in the culture, sightseeing, beaches hub of Bohol. The excitement of the city center is only 0.5 Km away. For those of you who want to venture out, Borja Family Hospital, Bohol Quality Mall, Bohol Museum are just some of the attractions available to visitors. At Casa Genaro Bohol, every effort is made to make guests feel comfortable. To do so, the hotel provides the best in services and amenities. The hotel offers access to a vast array of services, including free Wi-Fi in all rooms, Wi-Fi in public areas, car park, airport transfer, laundry service. All guest accommodations feature thoughtful amenities to ensure an unparalleled sense of comfort. The hotel offers an excellent variety of recreational facilities, including massage. When you are looking for comfortable and convenient accommodations in Bohol, make Casa Genaro Bohol your home away from home. "Residence converted to a bed and breakfast place that makes..."
Residence converted to a bed and breakfast place that makes it homey and a quiet place to rest after a tiring day of exploring the wondrous sites of Bohol. Very attentive staff and great care for attending to the needs of the traveler. Good value for money and highly recommended for couples and family travelers. The room is big and confortable, the bathroom too and everything is very clean. The house is beautiful, and is pretty well located. Is a good choice if you want to visit chocolate hills and make a boat tour in alona beach. However, Tagbilaran is a city that has not much to offer. The staff is helpful and friendly but they only offer breakfast (no drinks, no food during the day). Spacous room. Entic style. Even though the place was beside the main street , it was okay for me. The staff was very kind and friendly. The location was excellent to explore the island. Room was comfortable and clean. Bathroom was also clean. There are sampoo and soap. Good sir conditioning. Thereis a sofa and television inside of the room. I enjoyed some movies. It was a good stay, close to a very nice restro. We had a short stay here and used it as a base for exploring Bohol's sights (Chocolate Hills, Tarsier Sanctuary, etc). Our hosts Susan and Cecille were wonderful and made us feel totally at home. The room was big and comfortable in an old colonial style, the location was great (5 mins walk to Tagbilaran centre), and breakfast was very good too. We can recommend Casa Genaro without hesitation. booked casa genaro just for a short stay as it is quite centrally located on the island and we had an early morning flight. its a small boutique hotel with great staff who definitely try to make your stay comfortable. they are happy to help if any questions and they make you feel like home. would definitely recommend staying here when stopping over or sight seeing on the island. Our stay was ok, the staff were friendly and tried their best to meet our needs, but need to be more knowledgeable about options for travelers as most advice we got was innacurate and breakfast is not much to write home about. The building has great character but so close to a busy road makes for noisy mornings. the room is very big and beautiful, the there's no mini bar and refrigerator. That's the most uncomfortable point. But the location is very good. We loved staying here to get a feel for Philippino living. The old renovated Spanish house is spacious, with a large and clean bathroom, lovely and comfortable bed and air conditioning. Even the art and furniture made us feel like we were living in a beautiful Spanish/Filipino home. Breakfast served daily was homey and accommodating. The staff even gave us tips on what was best to see and do in the area. The downside was the noise. We stayed right near a main highway, which was fine, but also the back is up against a small home. The family behind the hotel had two dogs who were constantly barking (all night and day) and roosters to add to the effect. Not something the hotel can do, but the walls and definitely not sound proof and if you are really looking to rest at the hotel, this probably isn't the place to stay. I enjoyed staying this hotel because staff was very kind and location is good. Domestic flights out of Manila are often delayed, and we got to Cebu to catch the ferry to Tagbilaran a full 3 hours late...so late that we had to take the superslow night boat and didn't arrive at Casa Genaro until 3:30am. But amazingly, even after we were so worried, the hotel owners rolled out of bed at met us at the door! They showed us to our beautiful room, handed us a carafe of water, and said good night. After a great sleep, we woke to a simple breakfast of rice, eggs, and instant coffee, then bounced off for a long hike. The location here is perfect, right in the middle of everything, but since the main road is just outside the gate traffic can be a little noisy. If you're looking to lounge in silent luxury, best look elsewhere. But if you want to hike around and see the city, this is perfect! The owners are sweet and generous, the food lovely and filling, the room cool and comfortable. What an awesome place. Nos fuimos con la sensación de haber recibido más de lo esperado, ya que pensábamos encontrar una habitación más estándar y cuando nos la enseñaron nos sorprendió el gusto, el mobiliario, la comodidad de la cama y el espacio que tenía. Todo estaba perfectamente ordenado y limpio. También la atención recibida fue de excelente. Para volver sin duda.